I love your blog and you are so talented. I have learned so much from your blog. Congratulations! I too love your blog and refer to it ever time I open Inkscape. BTW Happy Birthday! thank you for the chance to win the blog candy. wow that's awsome! 500K!!! unbelievable! Congrats, let me tell you, your mind takes you places no one else has gone before. You do so much with that bot it just blows me away. I love following your blog and love your robot theme So...cute. Great milestone 500,000 hits. congrats!! I LOVE your blog!!! I just came across it today. WOW 500,000 people came to your blog!!! That is a lot of people!!!! Congrats!!! Congratulations Susan! And happy birthday. I'm not surprised you have hit half a million, you are so generous with your talent and time. Love your blog and your creations! As a newbie I really appreciate your tutorials. They're very well written. Congratulations on reaching 500,000 viewers and comments. Also a Very Happy Birthday to you. I have learned so much from you and your blog. Thanks for sharing all your hard work. Congrats on 500,000. Wow! Wow! Wow! Your blog is awesome and everyone knows it! So kind of you to share all that you do with all of us. Congratulations, Susan.......what an accomplishment! I know I contributed to that number! congrats on half a million hits, wowza! and loving the tutorials here, cool! This is really cute!!! Conrats on your awesome milestone! That is so exciting! Susan, congrats, that is a LOT of posts! Love your work, have learned so much from you. 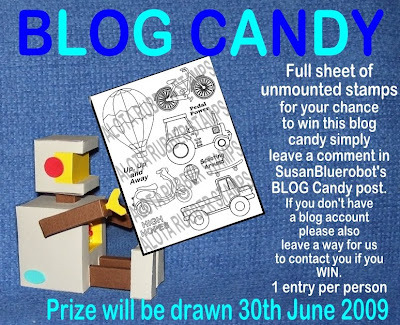 Would love to win your blog candy, too! Congratulations Susan! You have the best how-tos about scut and inkdscape! Thank you for all your hard work. Hey! I'm a 'Sue' too and my birthday is this month as well! Freaky!! Thanks so much for all your wonderful information and for sharing it all with us! We're not worthy...! But we sure are greatful!! Have a great birthday month!! congrats i been watching your blog for a while and you do an amazing job showcasing all those neat stamps. congrats on all the people visiting your bog. OMG so many hits! Congrats! I take a ticket and hope I'm Lucky! It's always a treat to look at your wonderful creations. Your work motivates me to try new and different things. Thanks. Your sight is a life saver to newbies like me. Thanks for sharing. Thank you so much for your blog. I have used it a lot to figure out the cricut design studio. Congrats on 500,000. That is so awesome; what is really wonderful is how you share so much of yourself. 500K? WHOA! CONGRATULATIONS Susan! A terrific achievement!! BRAVO! Hi Sue, so glad I found you through Stamp TV your blog looks fantastic I'm scrolling through right now!! Need to check how long you've been blogging to reach 500K oh boy makes my 1700 look silly!!!!! congrats on 500,000 and happy birthday!!! Congrats on the 500,000. I can see how you reached that with all your talent. Hope you have a wonderful Birthday Month. How fun! I know I've helped with those numbers! LOL. Love your blog and have learned so much from it! I also have appreciated how you have answered my questions and helped me learn. Thank you so much! Susan your work is so amazing. When every I need inspiration I visit your blog to get the creative process along. Thanks so much for all you do for us crafters. Congrats on the 500K posts!! Your blog is awesome, I can see how you got that many posts! Thanks! Congrats on your 5000K posts....but I'm not surprised at all. I absolutely love all your work and tutorials. Thanks for sharing blog candy. Too sweet! I think that shows how much you and Robot are loved...and as a wanna be...admired as a crafter! Congratulations - a half million visits wow - that's impressive. Of course, you do some amazing things! Congrats on 500,000! Wow, thats alot of viewers! Your blog is always full of inspiration!!! WOW..Susan..Congrats on hitting 500,000. 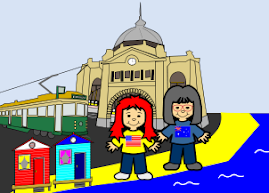 I have just started my blog, haven't been on it in about a week..kids moving in. Your blog is great and Fantastic work. HAPPY BIRTHDAY. Congratulations. Your blog is popular because you are so helpful. Thanks for giving so much information. Congratulations Susan!! Happy Birthday!! I love your blog....seems when I get in a rut for designing something all I have to do is just come look and something will strike an idea and I'm off creating. Thanks again!!! Happy Birthday fellow June Baby (mine is the 30th!). CONGRATS on the HALF MILLION MARK!!! WOW!!!! Wow, what an accomplishment! Congrats & happy birthday! I don't have a blog, but here is my email: amandaho28@gmail.com. Congrats and thanks for all you do to promote our favorite craft! You have wonderful instructions and ideas!! As a newbie I really appreciate your tutorials. They are very well written. CONGRATULATIONS! Great accomplishment and a very HAPPY BIRTHDAY! Hi Sue, so glad I found you through Eunice's blog. Wow Congrats on hitting 500,000 and more in counting. Also Happy Birthday to you.I just got a chance to look at your blog and your creations are fantastic. I love the files you create! Your work if very inspiring. Happy birthday! This is wonderful!!!! Congratulations on the Half million visitors and Happy Birthday!!! Congrats on 500,000! Next goal - 1,000,0000!!! of course your blog rocks. where else can we learn so much. Thanks as always. Congratulations and also Happy Birthday. I love to get your updates daily. They are so uplifting. Great work, you are so kind to share. congratulations! Thanks for the contest! Wow Susan, That is incredible. I love your blog - you have the cuties ideas and your helpful as to how to do things. I'd love to win the candy. I LOVE your blog!!! Your creations are awesome and very inspirational!! Always like to come visit when I'm having creative block!! Your blog is wonderful in so many ways - fun, informative, and very cute! Congrats on reaching 500K. You have a wonderful blog. Thanks for sharing it with all of us. congrats on the 500k. What a wonderful giveaway. I'll be watching. congrats and Happy Birthday wow a half million that is amazing and expected considering all the wonderful goodness you share. Thanks for sharing all your wonderful talent. You have amazing talent. Thanks for your hard work. Congratulations on making 500,000. My e-mail address is kamicankvr@hotmail.com. I love your blog. Thank you so much for sharing your talent. I check often for inspiration and how tos on your site. Congrats on over 1/2 million and a VERY HAPPY Birthday! Thank you for sharing your talent with us. I have quite a few of your tutorials bookmarked and when I am using inkscape, I always refer to them. You are very talanted!!! Congrats and Happy B-day. Your blog is the first one I visited to make my first work book and from then on ... I've been hooked. thanks for the great help and for sharing. Thank you, Susan and congratulations on this milestone! I think I have been here at least half of that number of times! You are my Inkscape guru, baby! I'm here every time I use Inkscape! HAPPY BIRTHDAY!! And WOW, 500K hits...but I see why so many keep coming back!! Thanks for the chance! Congratulations on reaching over half a million readers! happy birthday and congratulations on your hits! happy bithday!!! and i have to say - wooow for the 500K hits. WOW! Half a million - you are one talented person. CONGRATULALTIOS!! These stamps are sooooo cute!! I have linked your candy to my sidebar. Congrats! That's a lot of hits! I'm proud to be your one in a million... or almost there. Congrats! wow! You have got to be proud! Love your blog!